How can academics translate the knowledge they create for the benefit of the community? 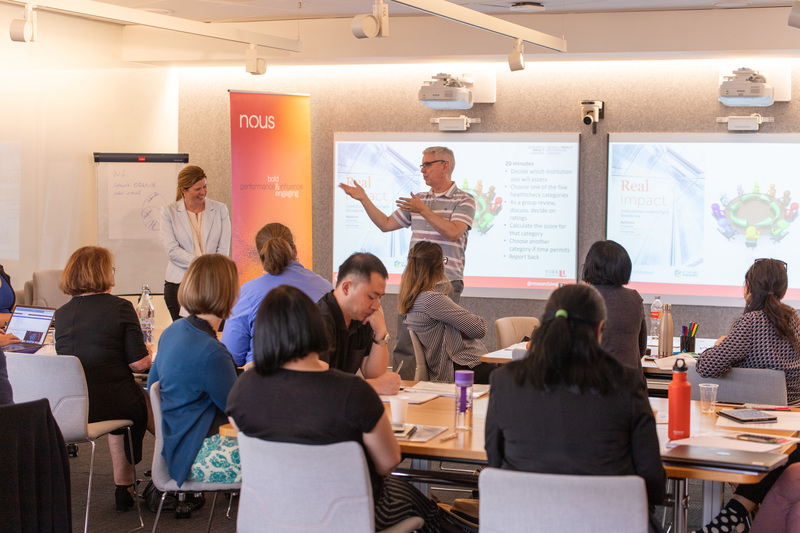 In March 2019, Dr David Phipps from the Knowledge Mobilisation Unit at York University Toronto joined Dr Tamika Haiden in Sydney to present a research impact workshop to academic researchers and representatives from Australian universities. A founding member of Research Impact Canada, a coalition of 17 universities committed to sharing research practices, methodologies and philosophies, David is well known for leading best practice knowledge translation. Tamika heads up a local consultancy called Knowledge Translation Australia that assists researchers to attract funding and deliver impact in all kinds of ways. The workshop was timely for a sector recovering from the recent Engagement and Impact Assessment by the Australian Research Council and in light of the incoming focus on research impact within many grants. Most notably, National Health and Medical Research Council grants now require impact case studies as part of a researcher’s track record. These sector changes have left many questioning the strategies to support impact and engagement. David says that impact work helps a social justice institution like York University know that its researchers are making a difference. Over many years, David and his colleagues have developed credible methodologies for how to create, deliver and measure the impact of knowledge mobility. “The best impact comes from coproduced research that includes stakeholders,” he said. Tamika describes her business as helping researchers to get the right information to the right people in the right format to deliver results. “It’s a process of making connections and sharing knowledge between researchers, policy makers and practitioners, including the end users who are invited into the conversation from the beginning,” she said. Over the course of the workshop, several Canadian examples were shared to show how strategic knowledge translation leads to community benefits and positive social change. Participants discussed how to demonstrate the research impact benefits beyond financial gain and economic growth – social outcomes that are often of enormous benefits to the public. Describing the efforts required to achieve research impact as “knowledge mobilisation”, David believes that impact is a function of partnerships between academics, industry, community groups, government and NGOs coming together to deliver services that the public need. From collaborations that boost the yield of Canadian pulse crops to creating a service hub to address domestic violence, he showed successful examples of knowledge mobilisation, including those that have impact without any economic exchange taking place. When designing research, researchers must consider who are the stakeholders and work out a plan for how to engage them? Co-produced pathways to impact require stakeholders to be invited in to the planning process early, right at the beginning of a project to inform research priorities. An impact framework should be in place from the outset of a project to deliver an effective impact strategy and create a credible outcomes statement. David introduced participants to 80 competencies that have been developed across 11 categories for use by research impact practitioners to ensure that they have a holistic approach to their research impact strategy. Interestingly, the top ten competencies include standard professional communication skills whereas the least practiced skills were in the area of tech transfer; IP and commercialisation, the impact areas in which universities are seen to be most invested. Small groups then worked through an Institutional Healthcheck Workbook to assess their own institution’s approach to demonstrating impact. Working through the tools, most found that there was room for significant improvement in this area. Among barriers to measuring impact effectively are time and money – particularly from the perspective of researchers. David hopes that by using the tools and frameworks presented in the workbook and ideas shared during the workshop, academics will be able to measure their research impact better, faster, more efficiently and with integrity. Learn more about Knowledge Translation Australia and find research impact resources at Research Impact Canada.